It awsomesubmitted by Darnell H. - Jan 25, 2019 |Recommended: YesVery quiet and clean neighborhood. Great office staff who are kind and very helpful. They have a great excercising room that is an 24 hr. gym. 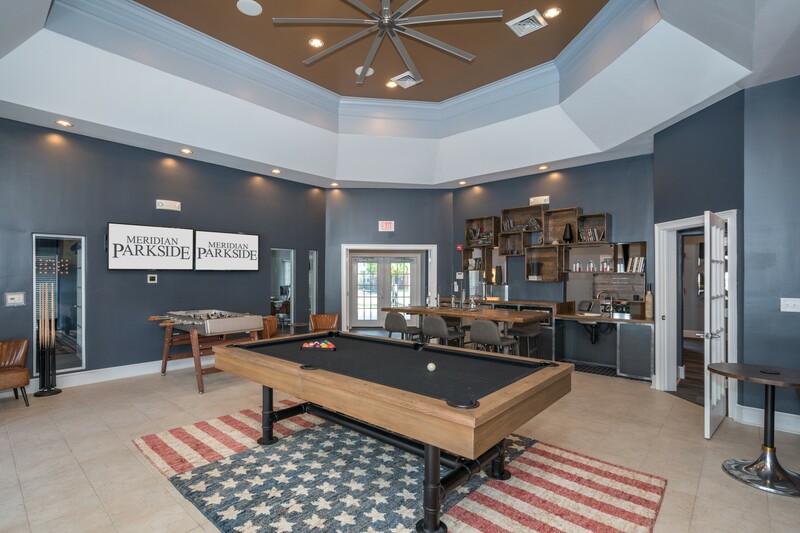 Outstanding Apartment Communitysubmitted by Christopher B. - Jan 03, 2019 |Recommended: YesThis community is a great place to live. Whether you work morning, noon, or night it is quiet. The management staff is on top of there jobs, they communicate things out immediately. They also do a great job folllowing up. Its amazingsubmitted by Claudia R. - Sep 06, 2018 |Recommended: YesI love the quietness of the neighborhood. Compared to my last place, I feel a lot safer now. Great place to live.submitted by Joshua M. - Sep 01, 2018 |Recommended: YesIts a nice, secure, and convenient place to live. Beautiful Property with friendly staffsubmitted by Amanda P. - Mar 27, 2018 |Recommended: YesMeridian Parkside is a beautiful community to reside in. The staff members are friendly and the apartments are stunning. The property is really nicesubmitted by Derrick M. - Feb 06, 2018 |Recommended: YesIts lovely living here and very peaceful. Maintenancesubmitted by Fran - Oct 16, 2017 |Recommended: YesMaintenance was amazing We had to wait a little longer than we anticipated but, they were super friendly, and they completed the job in less than 10 minutes.